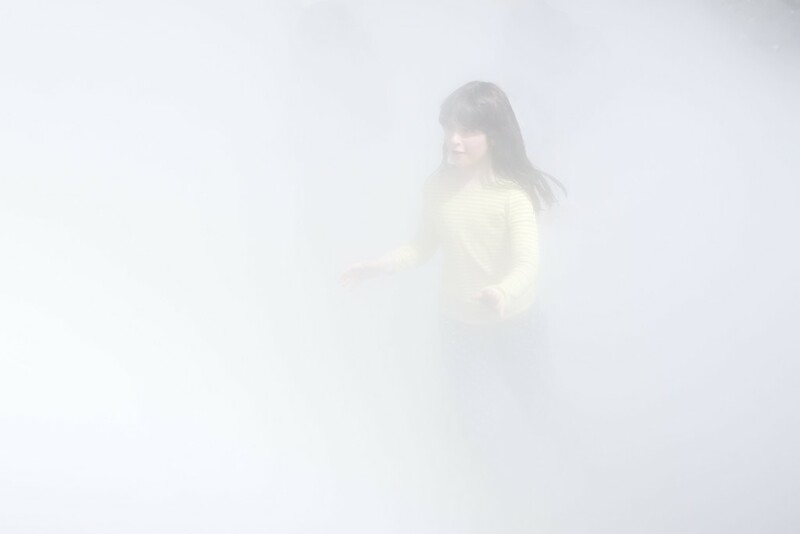 This is one of a number of photos that I took at the 'London Fog' installation by Japanese artist Fujiko Nakaya at the Tate Modern. I thought I had missed seeing it as it was scheduled to close on the 2nd of April but as it has been so popular, it has been extended to the 18th of April. We arrived around lunch time and spent about half an hour behind the Tate Modern Every 15 minutes or so water vapour is produced low to the ground and depending on the breeze can billow up and totally immerse you to the extent that it is impossible to see even your hand in front of your face. This is my favourite image from the day and I have some more here which may even form a panel for next years exhibition at the Landmark Centre... unless it is New York or Australia themed!